Northeastern’s men’s basketball team is having a pretty bad week. It began last Thursday, when Kansas eviscerated the Huskies, 87–53, in the NCAA Tournament. It was a gut punch for a Northeastern team that believed, with some justification, that they had a solid chance at an upset. But this Thursday’s punch might have hurt more. According to Stadium’s Jeff Goodman, junior guards Shawn Occeus and Donnell Gresham Jr. will transfer for their final seasons. The 2020 CAA championship race, previously Northeastern’s to lose, just got a lot closer. Northeastern’s Shawn Occeus is transferring, source told @stadium. Battled injuries, but averaged 10 points per game this season. Northeastern’s Donnell Gresham is transferring, source told @Stadium. Will be a grad transfer – Started 33 games, averaged 9.7 points per game this past season for NCAA tourney team. Occeus’ 2018–19 campaign was marred by two significant injuries which sidelined him for 19 of the team’s 34 games. Nevertheless, he averaged 10 points and three rebounds while displaying the stellar perimeter defense that garnered him the CAA’s 2017–18 Defensive Player of the Year award. 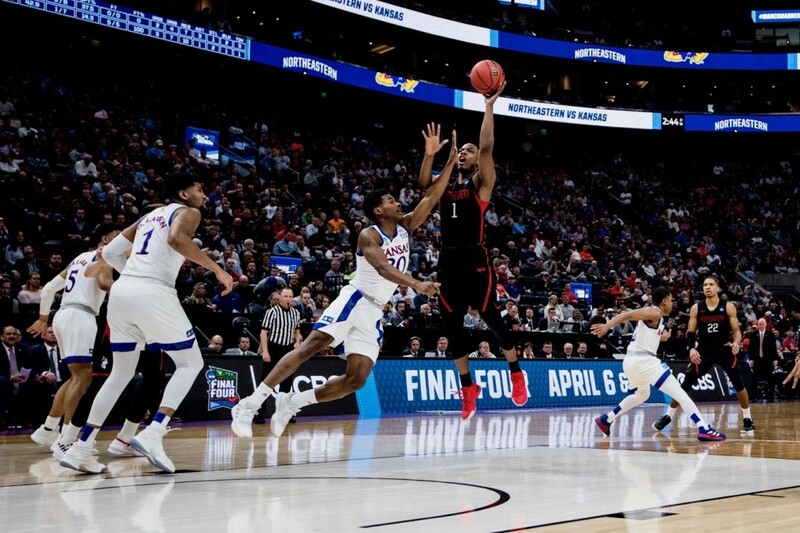 His length (6-foot-4), strength and energy made him Northeastern’s best two-way player, and his 17 points (6–9 FG, 4–7 3PT) against Charleston in this year’s CAA semifinal were critical to Northeastern eventual tournament win. Gresham was often overshadowed by flashier, higher-scoring guards, but contributed tremendous value nonetheless, averaging 10 points, five rebounds and three assists this season. He proved willing to do whatever the team needed; he would often lead the team in rebounding despite being the shortest player on the floor at 6’1”. His stoic, calm, controlled demeanor allowed him to steady the offense when star guard Vasa Pusica was hurt, and Northeastern head coach Bill Coen frequently spoke to his leadership and maturity on the court and in the locker room. Per NCAA transfer rules, Occeus will sit out the 2019–20 season, while Gresham is eligible to play right away due to his graduate status. There is no indication yet where either player will wind up, though Occeus in particular will likely draw attention from high-major programs. For Northeastern — which is already graduating Pusica, bruising big man Anthony Green, and backup center Jeremy Miller — the transfers eat away at their remarkable depth. 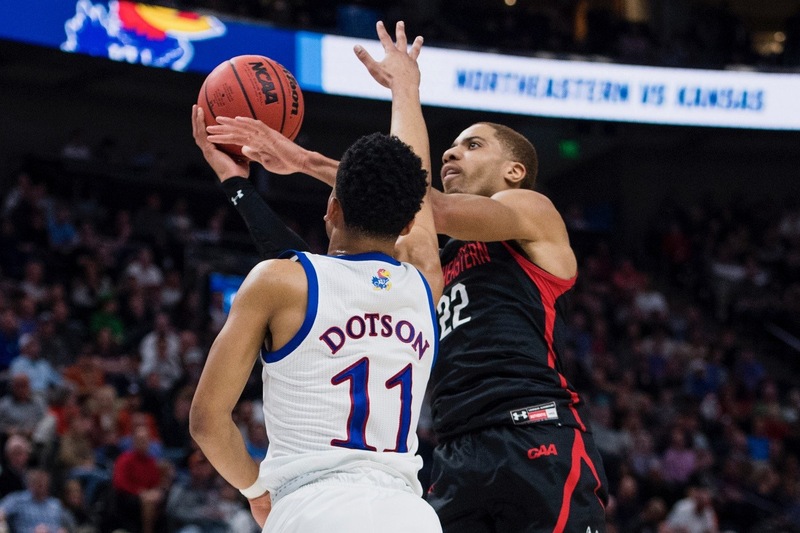 With a squad led by Occeus, Gresham, and fellow future seniors Bolden Brace and Jordan Roland, the Huskies would have been the overwhelming favorites to repeat as CAA Champions next March. Sophomore big man Tomas Murphy will likely play a much greater role in the offense now, particularly given his improving perimeter game. Ditto junior forward Max Boursiquot, who has two remaining years of eligibility after missing this season with a hip injury. But Northeastern will have to fill out their rotation with new recruits, as well as this year’s redshirt transfers and benchwarmers. Just eight days ago, Northeastern was in great shape. They were a trendy upset pick by the national media, and looked ready to challenge an NCAA blue-chip. Now, with two of next year’s centerpieces looking for a roster spot elsewhere, the Huskies’ future is far less certain. How their unproven talents rise to the challenge will be the difference between a second straight March Madness bid and an early exit.